NVIDIA has released its first public driver of the new R361 family. configurations where a Fermi GPU is used with Kepler or Maxwell GPUs. – In SLI mode, Fermi GPUs still use WDDM 1.3. R361.43 is an OpenGL 4.5 driver and exposes the same OpenGL extensions than R358.50 for a GTX 960 on Win10 64-bit. 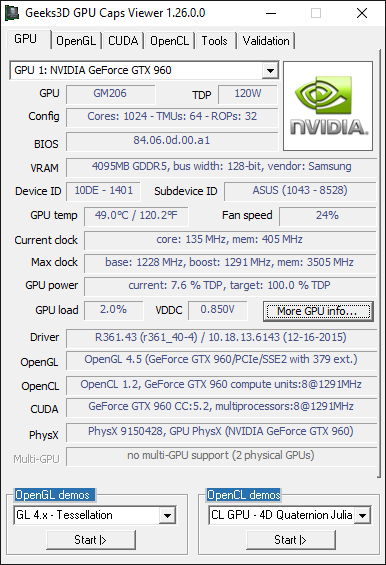 Nvidia GeForce 361.75 WHQL driver.